I remember the moment I found out that Sam Heughan and Caitriona Balfe were coming to Emerald City Comicon. I was at my parents’ house, scrolling through Instagram, and an image of Sam caught my eye (not a rare occurrence for me to be drawn in by a picture of that man). I watched the video clip, and as soon as I heard the sentence, “…I just wanted to say how excited I am to see all the fans at the Emerald City Comicon, in March, in Seattle…” I immediately declared (quite loudly): “MOM, I HAVE TO GO TO SEATTLE! Sam and Cait are going to Seattle!” I don’t think I have ever been more serious about such a spontaneous decision in my life. My mother then reminded me that I am a grad student in my last semester of grad school, and that I should probably confirm that I did not have any major assignments due that week. In my excitement, I almost completely forgot about real life and any or all commitments I might have. After checking my schedule, I was relieved to find that I was able to take that Friday off. Without looking back, I bought two tickets to Emerald City Comicon, completely unsure what was in store, but knowing that an adventure awaited me. I consider myself a very loyal Outlander fan. Granted, I only discovered Outlander over the holidays in 2015 (I know, I know, I had to ask myself if I had been living under a rock!). My father had actually read the first book, and he rented the DVDS for season 1 for family movie night. (Yes, I am 27 and still have family movie nights with my parents whenever possible; I live for it!) He says to me, “I have this really cool show for us to watch, I read the book and I think you’re going to love it. Just sit down and watch. It’s about time travel and Scotland.” *insert raised eyebrow* I am not the biggest time travel fan, but it’s my dad and we have similar taste in movies, so I decided to try. I swear, the episode started, Claire said the famous intro lines, and that was it. The scenery, the background music, Caitriona’s voice, Diana’s words, all of it. In that moment I fell in love, completely, utterly hooked and obsessed with Outlander till the day I die. 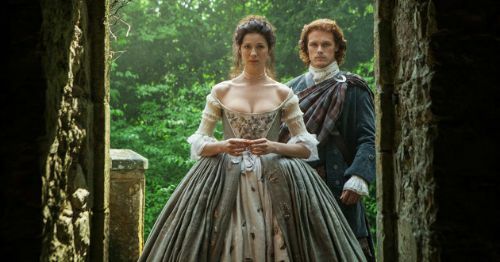 Yet for me, a huge part of the appeal of Outlander is not just the story, but also the amazing talent behind these characters who we love so much (some of you for twenty years!). They say not to meet your idol because you are at risk of being let down or even devastated. Whoever said that has never met Caitriona Balfe. As much as I love all things Outlander, and of course Sam Heughan, my main goal of Emerald City Comicon was to give Caitriona Balfe a letter, and I was set on doing just that. There were things I needed to thank her for, and I knew I wouldn’t be able to say them in person with such limited time interacting with her. So, I put my thoughts together and formatted a letter to my idol and someone I admire immensely. What I ultimately wrote in my letter to Caitriona was rather personal, so I have edited my letter for my privacy, but I wanted to share some sentiments from it that I feel may resonate with fellow Outlander fans and Caitriona admirers. I just wanted to say Thank You. Thank you for bringing to life such a strong and inspirational female character, and for putting your heart and soul into this series that makes so many people so happy. Your portrayal of Claire is both inspirational and moving. She is brave, intelligent, loyal, nurturing, determined, driven and independent, and I truly believe that a person cannot portray someone with those qualities so authentically without also embodying them themselves. That, or you are just that good of an actress; I believe both! 😉 You and Claire have inspired me to be a stronger woman, and have helped to give me a voice during a very difficult time in my life. Having Outlander in my life has been an unexpected blessing. I discovered it over the holidays in 2015, and I haven’t looked back since. The show and (first two) books have provided me with an escape; a portrayal of a strong, fearless woman to look up to, as well as something exciting to immerse in and enjoy with family and friends. It’s amazing who and what one chooses to turn to during life’s difficult moments, but how beautiful that we can escape our trials and tribulations, or even find strength to face them, through the form of a beloved book, film or show, or through an inspirational character, or even the actor that portrays them. I truly appreciate your support for those whose voices aren’t heard. You stand for so many things that truly matter; you are using your platform for so much good and it does not go unnoticed. So again, I just wanted to say thank you, and for you to know that what you are doing does make a difference. You are a truly talented person, and so beautiful, inside and out. You provide happiness and encouragement to those who admire you, whether or not you realize it. I also want to thank you for sharing your life with your fans through social media. I think in our excitement we forget that you don’t owe us that. It’s a hard balance to strike with social media, when someone you admire is so within reach, yet also not, and wanting to respect that boundary. We’re all guilty of it, myself included, of overdoing it just to get any notice from those we admire through Twitter, Instagram, etc…but from the true fans, it comes from a place of genuine intentions. We just really love Outlander and admire you as an actress and as the person we believe we know you are 🙂 You seem like a good person, one who genuinely cares about the rights and well-being of others. You appear passionate and driven in your approach to your career. You seem like someone who appreciates and enjoys what life has to offer, like good food, the arts, travel and adventure. You strike me as a very loyal and committed friend who could spend hours simply talking about life over coffee or a glass of wine. Ultimately, you seem like someone who could be as much of a friend to your fans as their own friends are to them. I wish you all the best Caitriona, with your career, in your relationships and with life in general. Never change. Congratulations on everything; you deserve it! I was extremely nervous to meet Cait and to give her my letter. I also knew deep down that I may not even be allowed to give her my letter, having heard through the grapevine from a con pro, “Don’t give them anything! It will get taken away and they will never even see it.” When I heard that, my heart sank into my stomach and I was devastated. Still, I was hopeful that I could give her my letter in person. It was worth a try at least, right? Leading up to my picture, I was a ball of nerves, but in line I met similar Outlander (and Sam and Cait!) fans who were also anxious. We started talking about our love for all things Outlander, and I completely forgot about my anxiety and sore feet and stiff body. I was surrounded by my “people,” my Outlander family. I felt safe, happy, content and like I could be my Outlander obsessed self with absolutely no judgment. Finally the moment came. I thought I knew what I was going to say and do, but the instant I saw them, that went straight out the door. Cait greeted my best friend and me with a “Come on over, ladies!” and Sam with a huge smile on his face; all I could do was grin the giant beaming grin that would not soon leave my face… I thought taking the picture was enough, but right after it was taken, Caitriona bent her knees, and with her arm still around me, turned me to face her and looked me directly in the eyes and said to me, “Thank you so much for being here!” No, Caitriona. Thank YOU. Again, when the time came to meet her for my autograph and give her my letter, I completely forgot everything I had planned to say. I nervously approached her and she asked me how I was and I her, and as she was signing my picture I pushed the letter towards her and said, “I wrote you a letter and I really hope you get the chance to read it. I went through a really challenging time last year and you and the show helped me get through it…” The look on her face said it all (which also caused me to completely lose my train of thought and forced me to look down at my feet while I gathered my thoughts and tried to form a coherent sentence to say next). She looks you in the eye with such genuine attentiveness and care, like you legitimately matter to her. When someone who inspires you looks at you like you inspire them equally just as much, it’s extremely moving and powerful. I won’t soon forget that moment. I’ll never know if she read my letter or not, but that look was enough to tell me that I matter and that I am enough. I believe these actors and these characters give people hope. Hope that someday they will find their own version of a love like Claire and Jamie’s, or find the inner strength to face an impossible challenge or choice in their life, or simply an escape from the struggles or demands of their everyday lives. I think I speak for us all when I say that Diana, Caitriona and Sam have truly given us a very special gift. In a word, Emerald City Comicon was crazy. I took a car to a train to a plane to another train to another car to get to Seattle, and showed up for the panel Friday morning on five hours of sleep. I made plans that fell through; I met people whose plans fell through; I made plans to meet fellow Outlander ECCC goers and never saw them. Lining up for the panel, pictures and autographs seemed endless, and for the most part was rather disorganized. The building was hot, and of course the room with the picture line was the hottest and most uncomfortable of all. But, you know what? I learned that these events are extremely pricey, crowded, hot and slightly disorganized. I learned that Outlander fans are some of the most passionate, friendly, interesting and wonderful people out there. I witnessed a sisterhood of women from diverse walks of life, coming together from all over the country (and even other countries!) to share in this united love of a book that has affected or changed all of our lives in some way. Leading up to ECCC, I enjoyed seeing all the posts from those planning on attending the event. Everyone’s story about how they came to love Outlander, and their excitement for ECCC made me even more excited to meet these women in person. It was beautiful to see how connected we all are, without most of us ever having met before. I think one of my biggest regrets from ECCC was not meeting more of the amazing women I saw posting about going. I would have loved to meet them and hear their stories about what Outlander means to them, especially those fans who have loved these books since the very first one came out. I walked away having fulfilled a dream of mine, accomplished a personal mission, survived my first con, spent quality time with my best friend, made two new wonderful friends who I may even get to see in Scotland this summer, and I got to share my ECCC Outlander story with fellow fans. Emerald City Comicon was one of the most spontaneous, chaotic, exhausting yet rewarding and memorable experiences I’ve ever had, and one that I will cherish for the rest of my life. My friends and family think I’m crazy for going. 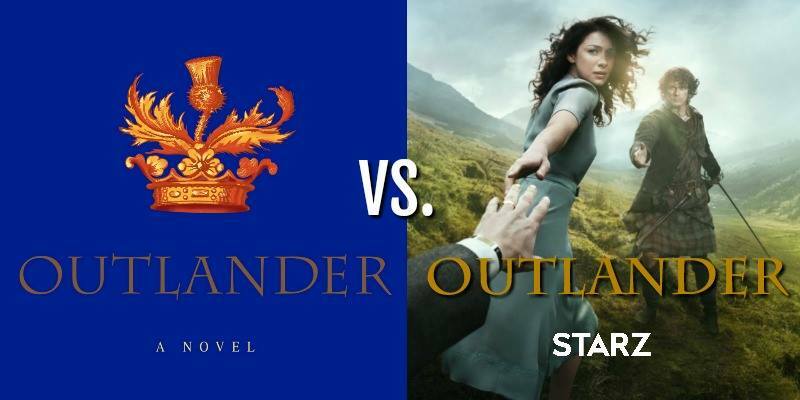 I’m not crazy, though; I’m an Outlander fan! Have you ever attended a Fan Event like Emerald City ComicCon? If not, would you? Tell us about your favorite Fan Girl moment.